It stands about three feet to my right as I sit here with my computer and my cup of tea. Until a few weeks ago, I had barely touched it for a year. But now, I am living on my own again, and I have peace and quiet and space. I finally asked My Handyman to fix its damper pedal, and of course it was no problem for him. And now my Korg digital piano is serving its intended purpose, and it’s not just a piece of furniture on which to place those miscellaneous things that never seem to have a permanent resting place (library books, that thing to return to a co-worker, junk mail, etc.). It was a trip down memory lane as I unpacked several boxes that had remained packed during the four years in which I lived with roommates. I had kept many more kitchen things that I remembered (including lots of plastic forks), and I noticed that my scrapbook hadn’t been updated since 2012 (how did five years go by so quickly anyhow?!). And there were the piano books — Royal Conservatory books that I used for lessons with my instructor, theory books that I tried to work through on my own, books on learning how to play by ear, a hymnal, chorus books, a binder of fancy arrangements. From time to time, I have big plans and then jump into getting a start on them. Many times, I have decided to quit, for whichever reason — I became too occupied with other things, it was not a good employer/employee situation, it was too difficult or not difficult enough. Playing piano was one of those things that I started, and I kept at it for a long time…and then? Well, many things happened. I went back to school. I moved to another city. I began to move away from my religious faith. It was too darn sad to play all the songs that no longer meant so much to me, post-deconversion from Christianity. I read more. My damper pedal broke. I forgot. I moved on from the piano. A few weeks ago, I thought I’d at least attempt to play a bit. Why not? I’d taken most of my old books to a thrift store, but decided to keep a few of them. My piano instructor had given me some beautiful arrangements many years ago, and I’d held onto those. I also kept a couple thin praise-and-worship songbooks and the big hymnal. It is interesting to play those songs again. When the Christian faith was such a big part of my life, up until my mid-twenties, I was very aware of the lyrics and what they meant, how they applied to my relationship with God and Jesus, how I’d live them out. It was deep and meaningful — not all of the time, but often. Music was part of my “quiet time” and devotions. They were songs that we’d sing at church or at mid-week Bible study. They were songs I’d listen to as I drove my car. I’d write down some of the lyrics and tape them on my mirror. It was all so big. It was about praising God, and glorifying His name and magnifying His name. It was about loving God, and being loved by Him. It was song, prayer, relationship…worship. Yes, I was that into it. I jump in and immerse myself in what I think is important. That’s why it hurts to let go — it wasn’t just a superficial part of my life. 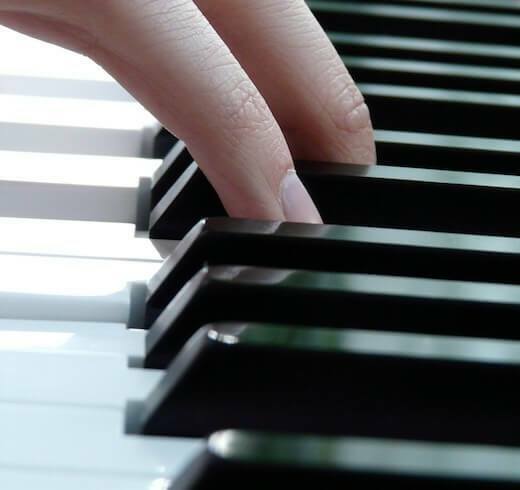 After I began leaving Christianity, it was too sad to play piano. I never really played non-religious songs, so I didn’t know what else to play. I left the piano alone for a while, and eventually decided to take singing lessons instead. I was fortunate to have a voice instructor who “got” the fact that I was quite opposed to singing anything too spiritual or religious. She had a background similar to mine, and I learned a lot from her, musically and otherwise. Now, as I open those books again and play the familiar songs, I notice that I am rather indifferent about the whole thing. I enjoy playing piano, and some of the songs are very pretty, but that’s it — I do not have a sense of love towards God and a yearning for Him, and I also do not feel sad or angry or confused, like I did when it all crumbled apart. It was an interesting step into the past. Of course, in the years following my transition away from Christianity, I’ve spent countless hours reminiscing that chapter of my life. I’ve done it for different reasons — sometimes just because it was such a big part of my life; sometimes to help me work through complicated feelings and get to a place of peace; sometimes to try to figure out how to incorporate the things I miss (community, prayer, music) into my life now, minus the religious context. I know a lot of wonderful Christians who are kind, thoughtful, intelligent people. I would not want to drag anyone away from a faith that makes them good people — as much as religion has done a lot of damage, it has also done a lot of good, and it’s not my place to decide for other people what they should believe. I don’t have it all figured out, either, and I’ve got enough to figure out in my life, never mind in others’ lives. But I think that there are some things that need to be questioned and picked apart — and then, perhaps, eliminated completely. There are songs that need to be deleted. My piano-playing ability is dwindling as I focus more on other things; at this time, it’s not something I plan to cultivate. Every once in a while, though, I might flip through my old books and play songs that encourage, comfort, inspire. I won’t play the ones about sin, blood, saviours of the world, and calls to drop everything to live for Him. But every once in a while, I can still play about love and peace and the magnificence of God’s creation. The truth has set me free! Died For My Boring Trivial Sins?